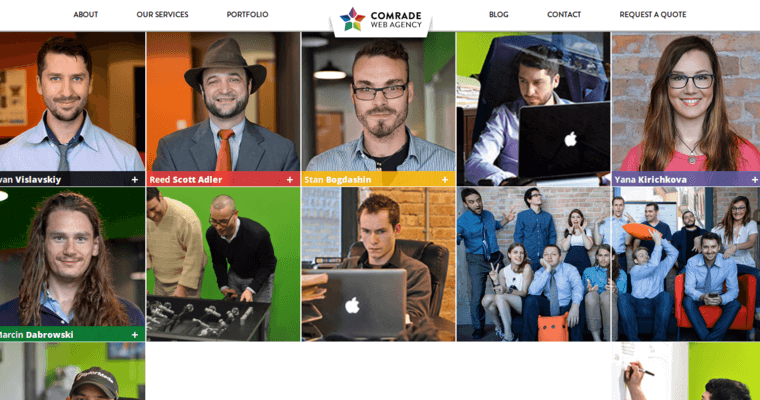 The Comrade team of programmers, developers, designers, and marketers are golden. 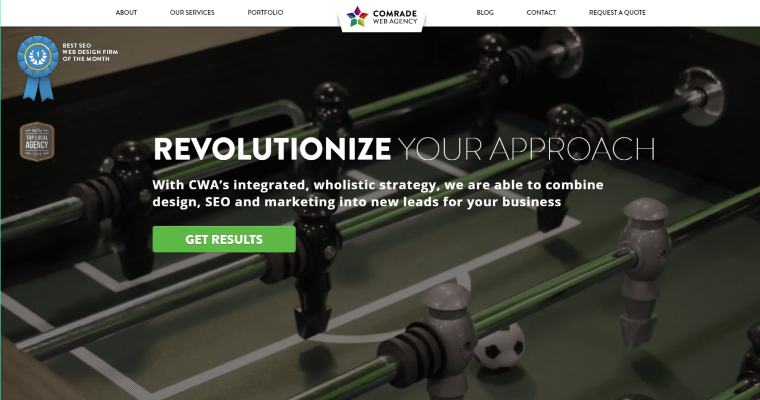 Their web designs are untouchable and stellar in both function and attraction. These are the kinds of designs that get businesses noticed, taking them to the top of popularity listings for niche audiences around the nation. 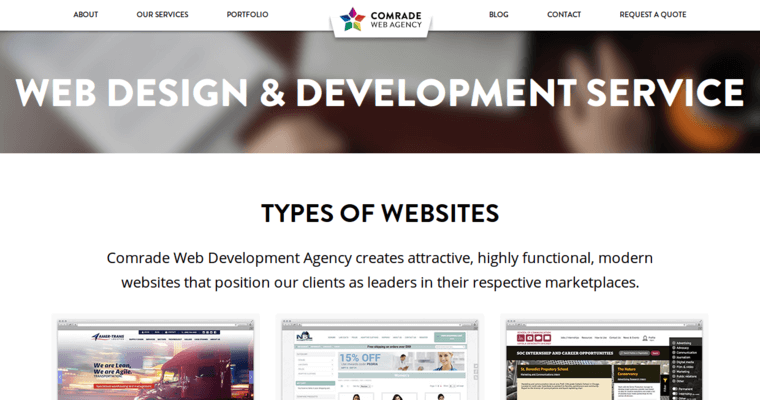 Comrade has an unbroken track record, with hundreds of clients to vouch for their superb design skills. Clients can expect consultations, brainstorm sessions, and celebrations galore, as well as a launch of an informative, idiosyncratic website for their business. It’s an awesome experience. One that helps businesses gain the recognition that they deserve.